After landing control of the federal government in 2000, Republicans promptly turned a budget surplus into a gigantic deficit by passing tax cuts and borrowing fat stacks of money to pay for a couple of wars and a prescription drug benefit favored by seniors. Then the world economy tanked, and we got the Great Recession. Of course, Republicans blamed that all on Bush and all the squishy GOP congressional moderates who were unable to break their addiction to spending. They got a whole new religion while Barack Obama was president, insisting that fiscal stimulus was a terrible idea, and the debt would destroy America if we didn't get spending under control. And then over the last three months, Republicans managed to pass their gigantic tax cut (with most of the benefit going to America's wealthiest) that is projected to add more than a trillion dollars to the deficit over the next decade, according to the Congressional Budget Office. Then last week, the GOP teamed up with Democrats to pass a spending bill that boosted spending and raised the ol' debt ceiling in one quick and dirty measure that busted open spending caps by $296 billion over the next two years. As the Committee for a Responsible Federal Budget noted, "Based on the score from the Congressional Budget Office (CBO), the budget deal would increase next year's deficit to roughly $1.2 trillion. Annual budget deficits would remain over $1 trillion indefinitely." Sen. Jeff Flake, who is now considered a pariah for standing up to President Donald Trump, voted against the measure, calling it "a $300 billion spending hike, a return to trillion-dollar deficits and an apparent end to any attempt to rein in federal spending." Of course, that concern comes after Flake voted for those massive tax cuts for America's wealthiest citizens, so he obviously prioritizes enriching the rich over closing the deficit, but he was right when he tweeted out: "Fiscal responsibility is more than a talking point to trot out when the other guys are in charge." 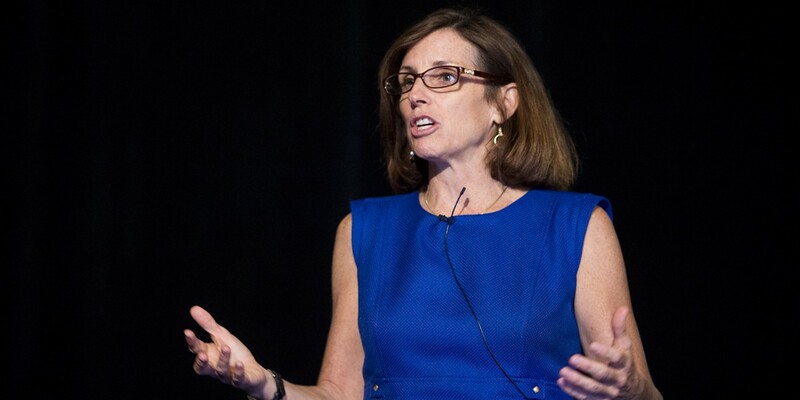 Southern Arizona Congresswoman Martha McSally, who voted in favor the tax cuts and the budget deal, praised the boost of $195 billion in defense spending over the next two years. "Eight years' worth of anemic defense budgets and neglect under President Obama's defense sequester have thrown our military into a full-blown readiness crisis—and Secretary Mattis has made it very clear that, unless we pass a budget and fund the troops they will not have the resources to maintain their operations and deter war," McSally said in a prepared statement. We'd point out that the sequester—spending caps that limited the growth of federal budgets—were actually a demand from Republicans that Obama reluctantly agreed to, with the understanding that congressional leaders would come up with a better plan. McSally can ask her mentor, Jon Kyl, all about it, since he was one of the U.S. senators who failed to come up with an alternative. During an appearance on Bill Buckmaster's daily radio show last week, McSally made the usual noises about being concerned about the deficit, but she said that the military spending isn't really a factor in the federal budget, since it only accounts for 14 percent. Instead, she said, the real problem is with healthcare spending, which needs to be lower. It's an amusing stance to take, since she boasted in her prepared statement on the budget vote that the legislation dismantled Medicare's Independent Payment Advisory Board, which was designed to find ways to lower healthcare spending. Or, as McSally put it, the "Death Panels...tasked with rationing Medicare." So somehow, we're going to come up with some other creative way to reduce healthcare spending without taking any health care away from anyone—or maybe just not anyone over 65, as McSally has already voted in favor of the GOP plan that, had it passed, would have resulted in 24 million more Americans without health insurance, according to CBO estimates. Here's the bottom line: McSally has already voted to cut taxes, and she's made it plain that she's gonna keep boosting military spending—so the only place left to cut is domestic spending on programs that actually improve lives for Americans who aren't in the military or working for defense contractors. So, we're either running higher deficits that our children will pay for, or we're screwing the average American. Or both. But you can count on this: McSally will rediscover her concern about spending—right when a Democrat wins the White House. The televised edition of Zona Politics with Jim Nintzel airs 6:30 p.m. Fridays on the Creative Tucson network, Cox Channel 20 and Xfinity Channel 74. This week's guests are foreign correspondent and UA School of Journalism professor Mort Rosenblum and journalist Todd Miller, author of Storming the Wall: Climate Change, Migration and Homeland Security. The TV show repeats Sunday mornings at 9 a.m. and Thursday nights at 6:30. The radio edition of Zona Politics airs at 5 p.m. Sundays on community radio KXCI, 91.3 FM. Nintzel will discuss the week in review on The Buckmaster Show at 12:30 p.m. Friday, Feb. 16, on KVOI, 1030 AM.